Kristin Try has a passion for art and creating beautiful spaces. She loves color, texture, and the freedom to create in abstract paintings. 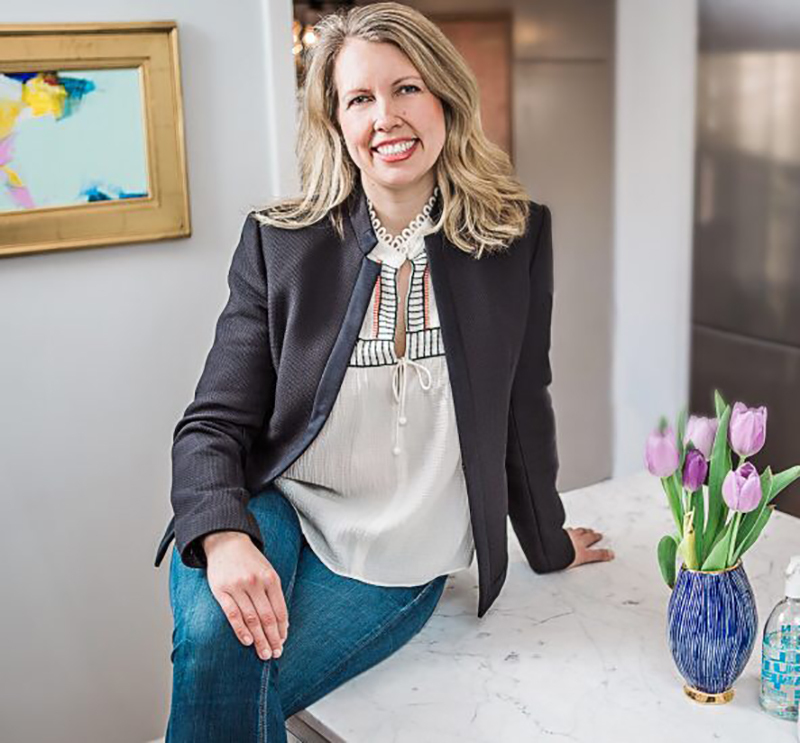 Kristin began her career in government affairs and as an association executive, but after the birth of her second daughter she began a more creative path through interior design and art classes, where she found her love of painting. The name Gingham & Grosgrain comes from daughters who are always wearing gingham clothes and grosgrain ribbon bows. When designing interior spaces you'll find a touch of grosgrain or a good gingham. In her paintings she loves that she can create original works of art to beautifully exist in spaces of all styles. Kristin especially loves the contrast abstract art brings to traditional design elements. Contact me for a design consultation or to commission an original painting for your home. "Kristin helped me with a space plan for my awkward living and dining rooms. She successfully integrated my existing furniture with new pieces curated to create a more cohesive look. The result is even better than I could have imagined! I can't wait to work with her again." "Before working with Kristin, I'd never commissioned a piece of artwork but the beauty and elegance of her work struck me as just the right style to tie my daughter's room together. The result, though, simply blew me away. Kristin's work--and the process of working with her--is flawless." "Thank you Kristin for the gorgeous painting that is now hanging in the previously sad, empty space above our fireplace. You truly captured what we were looking for and made the process as easy as could be (right down to the delivery)!" "Kristin was delightful to work with when creating a unique, beautiful floral abstract. She considered my request and decor then added her inventive style. I am so glad she created such a wonderful, welcoming piece for the entry foyer of my home. We will treasure it."